Both Moreland & Sieg broke during qualifying, so no eliminations were contested in this class & David Hauser moved into Top Eliminator. Tim Hatfield was the night’s big winner during day one at Thunder Valley Sand Drags’ Show-Me Fall Nationals. Hatfield pushed through a tough 7 car field to take the win over first time TE competitor Trent Oldham in John Moreland’s Dragster. David Risher came out on top of the Pro 1 cars class defeating Brent Harper in the final round. Josh Hibdon was the big winner in the ATV classes, taking wins in both the Pro 2 ATV & Sportsman ATV classes while John Butler was the Pro 1 ATV champion. Racing kicks off at 11AM Saturday morning for the conclusion of this event. - John Moreland ran Low ET of the day with a 2.77/104mph pass. - David Hauser is also here with the Lethal Threat TA Dragster. - These guys will run eliminations on Saturday. 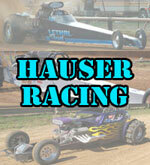 Thunder Valley Sand Drags in Grain Valley, Missouri is hosting the Show-Me Fall Nationals on October 1 & 2. NSDN will be on-site with coverage of this event. The event starts out with Test and Tune as well as Race 1 on Friday. Saturday will see the second full race on the weekend. Our normal NSDN Daily Race Coverage and Live Updates will kick off on Friday. Be sure to check the left sidebar for up to the minute updates from the track. 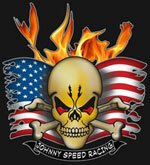 This NSDN Daily Race Coverage is courtesy of Johnny Speed/Moreland Racing & Hauser Racing. Check back throughout the weekend for the latest from this event.